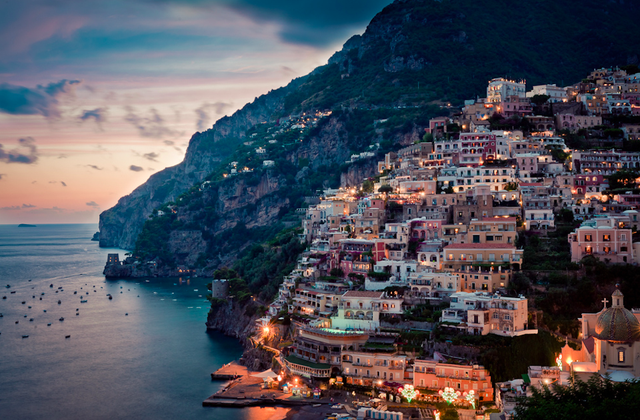 Positano, Italy is a charming town situated on the Amalfi Coast in the southern portion of Italy. The population of the picturesque village is only around 4,000, but Postitano prospers in the tourism industry. The history of Positano dates all the way back to when Tiberius was emperor of Rome, and he imported flour from the village. In the 9th century, citizens from surrounding villages had to escape to Positano because of Saracen raids. During the 16th and 17th centuries, it was a main port city; therefore, people loved to fish in the village. Positano has become a popular place for weddings, as the city is considered to be a beautiful paradise. The Positano town hall is the site where many weddings take place. 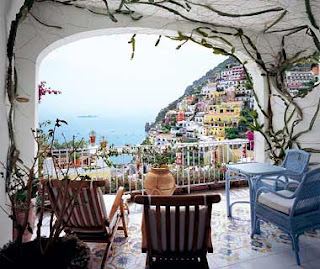 The terrace can be gorgeously decorated, and it looks over the breath-taking sea. The village is just full of romance, so many couples choose Postitano to begin their lives together.